Parenthood is not only about how you bring up your child, but also about how you help him/her to do what he/she is best at. It is very important for parents to identify the talent of your kids and help them live their dreams. You might think how you can find out the best aptitude of your child, Right? You just need to follow some simple steps and you will come to know what your child likes to do the most. 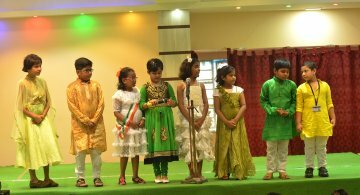 Furthermore, once you identify the talent of your child, Sudhir Memorial Institute Liluah is there to offer its assistance and bring out the best from your child’s character. 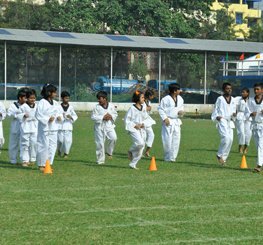 It is considered as the best School in Howrah with all amenities necessary for children. Here are four simple ways that you can follow in order to ensure your child gets a chance to pursue their dreams and excel in it. Keep looking for the talent: It is not necessary that you will catch your child’s talent at once. You need to keep a watch on their actions to find out their interests. Some kids keep whispering melodies at a stage where they don’t yet even know how to speak. Such habits may belong to someone who wants to make a career in singing. 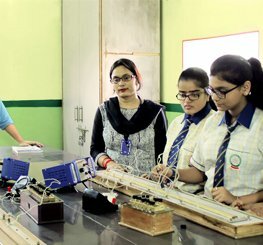 The extra-curricular activities of Sudhir Memorial Institute Liluah are considered to make efforts to bring out the hidden talent of its students. Strengthen the talent: Only identifying the talent is not enough to enable the child to make the best of their interest. It is important for you to look whether he/she is working on improving it. Being parents you must ensure your children learn more and more to improve their talents to reach at the top. You can also rely on the teachers of Sudhir Memorial Institute as they make equal efforts in making sure that talented students keep on improving every minute. Make resources available: When you know clearly that your child is interested in something specific, you should see to it that the required resources are made available to them. If your child is interested in painting, make sure a canvas and colors are bought for them to help work on their talent. The best CBSE School in Liluah, has drawing teachers that are well-qualified and can help the children to become skilled painters. Encourage your child: Most of the parents stress very much on academics. They expect a child’s best friend to be those school books. Some don’t care about what their children are interested in. According to them, only studious children are successful in life. Of course, studying is important but other talents like singing, dancing, painting, acting, etc. have also gained momentum in recent times. Hence, parents need to show their child that they are happy with what their child wants to achieve in life. Parent’s input in their child’s persuasion of dreams will make the child even happier. There can be absolutely no doubt in the fact that children who have their parents involved in their hobbies, school and activities are well-adjusted, happier and healthier. These children also excel in their extracurricular and educational pursuits. 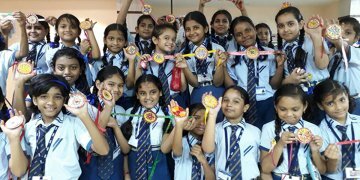 The best CBSE school in Howrah always aims towards establishing this involvement and parent-child relationship. Why is it Important to Get Involved in the Hobbies, Activities and School of a Child? The involvement of the parents in regular activities of their children including school and hobbies helps in increasing the cognitive development of the students; in keeping them motivated and in strengthening the parent-child relationship. 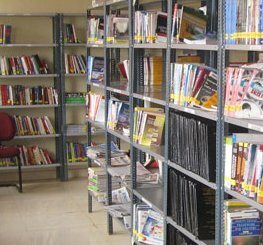 It also has a direct and positive impact on the overall academic accomplishment of the children. Coming to the parents, getting involved in the regular activities of their children helps parents in increasing their very own self-esteem and self-confidence. Parents feel more satisfied with the education experience of their child at school. How to Get Involved in your Child’s Activities, Hobbies and School? In today’s times, average families have very little time to be offered to their children because of busy schedules between work, home and school. Nevertheless, there are different levels and options of commitment available to suit the availability of every parent. With some effective and careful planning, conduction and dedication, parents can always make it a very positive experience for themselves and their child. The very first thing that parents need to do is explore what their children are passionate about. Different children have different interests and hobbies. Most of the times the thought process of a parent regarding the hobby of their child might not match up with the actual hobby of a child. For example, as a parent you might be looking forward to volunteering the school bake sale for raising money but your child might be more interested in her Girl Scouts team. If this is the case, you must try and come along with other Girl Scout parents and contribute something for helping the team. You always have the option of organising a perfect bake sale that would help the team during the summer trip. It is also necessary to consider the abilities, talents and skills that can be brought to the forefront. Consider the skills that you already possess and the skills that you need to be good at when trying to get involved in the activities, school and hobbies of your child. Always keep in mind that you are trying to make your child happy by getting involved in his or her activities and hobbies. However, if your child senses that you are not happy in carrying out a certain activity then it is quite possible that your child would also not be happy doing the activity. Thus, it can rightly be concluded that getting involved and staying involved in your child’s hobbies, school and activities is very important. Children who have involved parents are at a decreased risk of getting into different mischievous activities. They have fewer emotional issues and problems in school. The parents benefit by effectively connecting with and staying connected to their children. Therefore, it is a kind of win-win situation for the parents as well as the children.